This entry was posted in Uncategorized and tagged Frances Stonor Saunders, Northampton, Peter Mulligan, Rome, St Andrew's Hospital, The Woman Who Shot Mussolini by ianmac55. Bookmark the permalink. How strange! 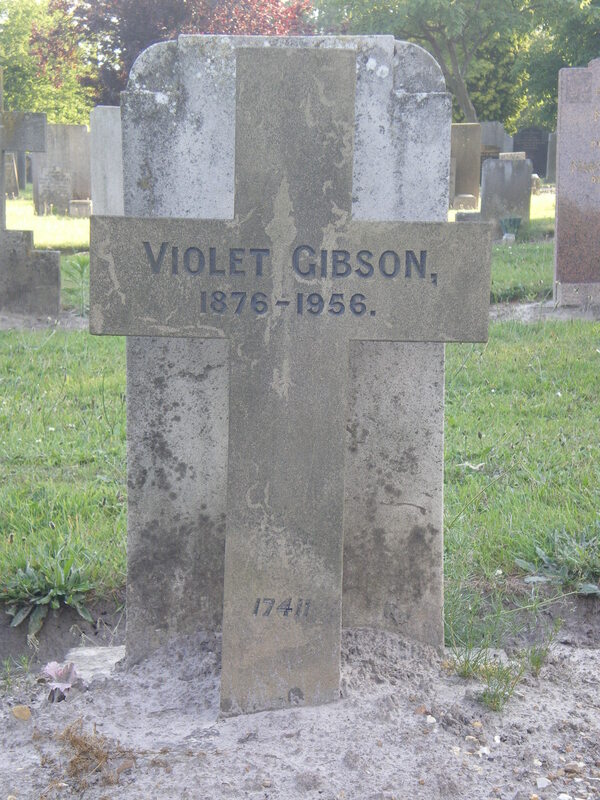 I have a photograph of this grave on my blog, as well, as Kingsthorpe Cemetery is at the bottom of my road, too. My mother & aunt, both from Co. Cork, now dead, nursed her & mentioned her many times. Even though Violet used to claim she had shot Mussolini, I don’t think anyone actually believed her in those days. My aunt was not there for very long but my mother was there from 1935-1959 when she returned to Cork on marrying my father. Her name was Bridget (Bridie Cotter).